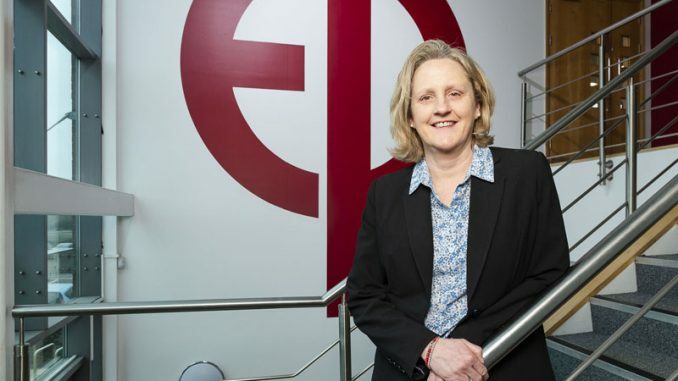 Hartlepool-based expanded metal mesh specialist The Expanded Metal Company has forged closer ties to Teesside University, thanks to a major research project. Teesside University worked with The Expanded Metal Company on a project which investigated the properties of the firm’s foil product. It examined the potential use of foil in innovative new commercial applications and generated a range of new technical data on the material: this is being used by The Expanded Metal Company to drive further product development. 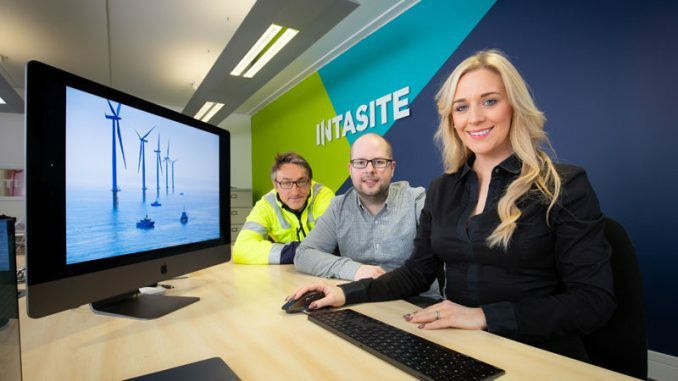 The project was undertaken by mechanical engineering graduate Ryan Kennedy over three months during his final year at Teesside University, and was supervised by David Hughes, senior lecturer in materials engineering at the university. Thanks to the success of the initial research project, the two organisations are now planning to work on several new projects together throughout 2019. 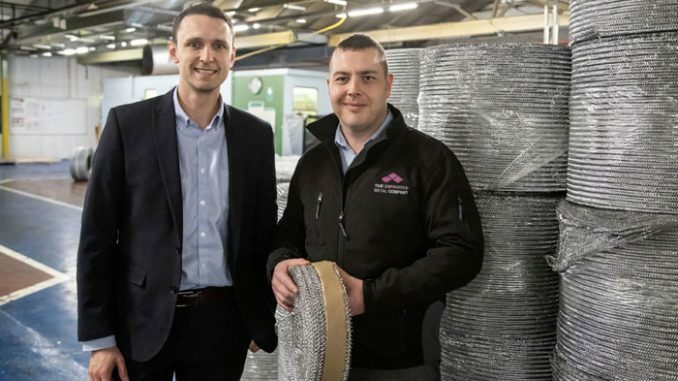 The Expanded Metal Company develops and manufactures metal mesh products from a 25,000 sqm site in Hartlepool, which is an established global centre of expanded metal expertise. The firm supplies high quality expanded metal mesh products for sectors including construction, filtration, engineering, transport, utilities, automotive, aerospace and architecture. It also serves the security sector and has its own security range, ExMesh, which offers a wide range of innovative fencing systems and security solutions. Ryan worked closely with The Expanded Metal Company’s product development team on the project, gaining an insight into the firm’s manufacturing capabilities and drawing on its decades of technical expertise. As part of the project, extensive foil testing was carried out at Teesside University’s materials testing laboratory. Ryan said: “Working on this project with The Expanded Metal Company was a great experience – the team were very supportive and helpful. 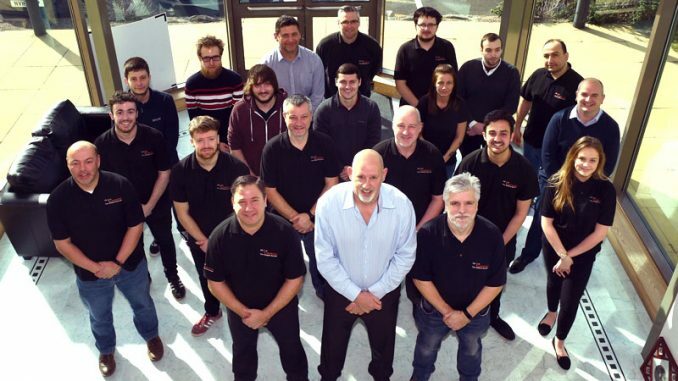 David added: “We’re very proud of our links to industry and Ryan’s work with The Expanded Metal Company demonstrates our ability to engage effectively with the engineering and manufacturing sectors. “We developed an excellent relationship with The Expanded Metal Company team and the project provided Ryan with a fantastic opportunity to gain an insight into the needs of industry and how materials testing can be applied in a commercial environment. The Expanded Metal Company has a rich industrial heritage dating back to 1889 and was founded by John French Golding, the inventor and patentee of expanded metal.